Anniversary jerseys are on track to be delivered at the end of this month, £25 for adults sizes and £16 for youth sizes. Let me know if you have any problems - usual club account details that were once used to pay for club membership. Hi Dan, can you confirm CCA account details please? I no longer have them since renewing club membership through British Cycling. Thanks! I now have the jerseys, great quality and design (good work Martin L). I have over 100 to distribute so please be patient. I'm planning on heading down to the Tuns on Saturday to meet the 9:30 riders and hand out some then (as long as you have paid) If you will be there please let me know as I can't carry them all. Help me out by paying in advance using the details in the post above. Looks good. Will you be at the awards dinner Sat night? Is there any chance you could meet Sat riders in the Tuns at the end of the ride (12:45 approx) so we dont have to carry them round as most people don't drive over? Just leave mine in usual place as I am down this week. Thanks Dan for sorting these out. I'm planning on being at the club run tomorrow. I'll have my car so can look after anyone elses during the ride if needs be. Hi Dan. Please can you take my jersey to the club ride tomorrow, all paid for. Emma will collect it with hers and David’s. Many thanks. Dan, sent you a message (I think). Hi Dan Long shot and probably a faff at short notice but can any of these get over to the pie do from anyone local? Still plenty of people yet to pay. Please can you pay up ASAP. I'll be taking the jerseys to smallgains this Saturday afternoon 1:30 to 3:00. Good chance to come and collect your top if in the area (and if you have paid). Let me know if you will be there. I’ll be there with Logan so if you could bring Logan and Thomas’ tips please. Dan - If it's ok I'll pick up from Smallgains on Saturday, following Phil's ride. Hi Dan, I'll pick up tomorrow post ride/3 Tuns pint ! Same plan for me, to pick them up post morning ride. Ok guys. Will bring them along. Don’t forget to pay. Confirm that I'll collect from Smallgains today. I have already paid. A big thank you to all those that have been involved getting these shirts arranged and distributed. It's been a lot of work I'm sure! Hi Dan thanks again for arranging, have paid, will need to collect another time as not around today. Hi Dan - will try to get along. Massive thanks to all involved in arranging for the special kit. 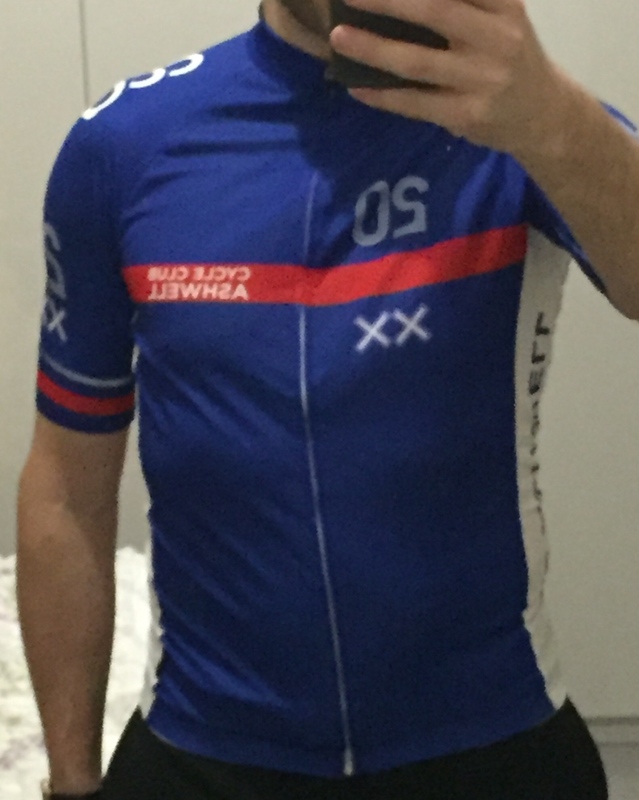 It's fantastic - great quality, fit (even for scrawny riders!) and design. Brilliant job.